Similar in output to the Dirty Shirt Humbucker but with a tighter focus, the Classic '83 has thicker mids, a little more in the bass whilst keeping those fatter higher frequencies. Choose from Alnico 5, 8 or ceramic magnets - The 5 will give you a more rounded, vintage high output tone. The Alnico 8 is a great balance between the the 5 & Ceramic option, giving more treble but with a smoother roll-off to the mids whereas the Ceramic option works to emphasise those biting higher frequencies at gain. 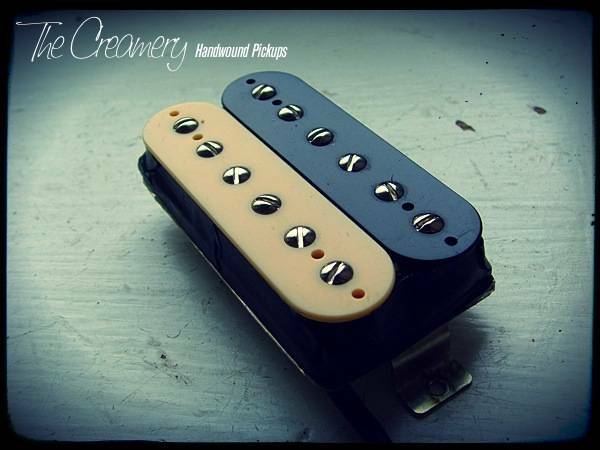 Great clarity & definition for a higher output humbucker. Avaialble in chrome or Gold H-Cover, simple open black, white or zebra bobbins.